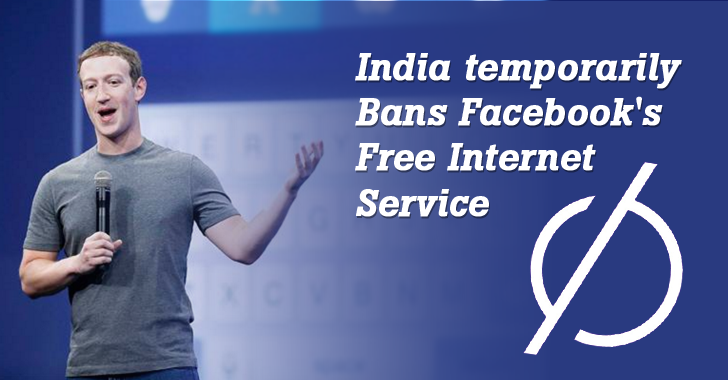 The Telecom Regulatory Authority of India (TRAI) has ordered the mobile carrier to temporary suspend the Facebook's Free Basics Internet program. Facebook's Free Basics is an app that allows users to access certain Internet websites, including Facebook, for free. However, India's independent regulatory body has asked Reliance Communications – the only mobile carrier that provides Free Basics in India – to disable the free internet service temporarily while the regulator investigates whether the service violates net neutrality. Facebook introduced Free Basics (then known as Internet.org) app to India in February this year, offering people access to more than three dozen Web services for free. Users of Facebook’s Free Basics app must have a Reliance mobile network and are limited to a range of portals including Wikipedia, BBC News, AccuWeather, Bing, and sites dedicated to infant health, and of course, Facebook and Facebook Messenger. But since its launch, Facebook's Free Basics has been controversial. While it offers limited internet resources to people who might not otherwise be able to afford it, on the other hand, the service also offers a huge advantage to the sites and services it includes. For example, if the service includes Facebook Messenger to use for free, any other instant messaging app would not be able to upsurge in this competitive market, which is nothing but the violation of Net Neutrality. However, Facebook argued to the contrary, saying Free Basics was "not in conflict" with Net Neutrality as it does not block or throttle other online services. But, Net Neutrality advocates argued that by providing some websites for free, users are discouraged from visiting other sites. "Unless that question is answered, it will not be appropriate for us to continue to make that happen," a senior government official told The Times of India (TOI), which first reported the news. However, Facebook, on its part, said, "We are committed to Free Basics and to working with Reliance and the relevant authorities to help people in India get connected." But he didn't comment on whether or not Free Basics has actually been banned. Facebook’s Save Free Basics In India Campaign: Last week, the social network called on Facebook users in India to send an automated email message to the TRAI showing their support to Free Basics. However a few days ago, it came to light that the social media giant was overplaying its hand by sending notifications to Facebook users in the United States and the United Kingdom to do so the same. And as usual, Facebook called the incident "accidental." Moreover, this Facebook campaign has also proved controversial by net neutrality advocates and opponents, claiming its automated email undermines Net Neutrality in India. Now, let’s just wait and watch that for how many days TRAI has suspended Free Basics in India, although the service is still available to subscribers even after the regulator ordered Reliance to block Free Basics two weeks ago.